In the past month, Belarus's authorities have continued to benefit from balancing between east and west. In the past month, Belarus’s authorities have continued to benefit from balancing between east and west. The EU suspended sanctions against Belarus in response to the nonviolent presidential election, and in the east Belarus continues to enjoy the benefits of Russia-Ukraine tensions. Igar Gubarevich analyzes the steps the foreign ministry took to use the presidential elections as a tool to strengthen the positive relations trend between Belarus and the West. In another article he shows how Belarus’s national air carrier, Belavia​, tries to profit from the suspension of air traffic between Ukraine and Russia. In his analysis of recent alcohol policies, Vadzim Smok shows that despite a huge problem with alcoholism in Belarus, the authorities seem unwilling to introduce consistent anti-alcohol measures. They effectively use it both as a tool to calm social discontent and a lucrative revenue source. Ryhor Astapenia explains what the results of the Polish parliamentary elections mean to Belarus on TUT.by portal and Polish Radio. The new Polish government will focus on supporting the Polish minority in Belarus, but the financing for Belarusian civil society will remain at the same level. French TV channel BFM Business highlights the article “Belarus and Russian Food Embargo: a Success Story” by Igar Gubarevich in its programme “La librairie de l’Eco”. In the article Ihar Gubarevich explains that Belarus’ success in becoming the primary beneficiary of the Russian food embargo has been a complex mixture of hard work, honest entrepreneurship and cunning scheming. Ryhor Astapenia explains to Polish Radio divisions within the Belarusian nomenklatura. Although Soviet cadres loyal to Lukashenka will remain in the new government, he will need some reformists and well-educated people to balance the older generation. Igar Gubarevich talks on Polish Radio about the foreign policy implications of the 2015 presidential elections in Belarus. The authorities offered to allow peaceful elections in exchange for some lifting of sanctions, and the west eventually accepted this compromise. 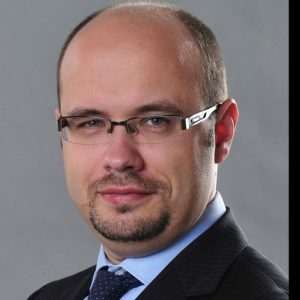 Igar Gubarevich published an article about the EU’s decision to suspend sanctions against the Belarusian regime in Emerging Europe, a British online business portal. As the Belarusian government will seek the full withdrawal of sanctions, the European Union and the United States should use the current momentum to press the regime into implementing further measures of political and economic liberalisation, Igar suggests. Ryhor Astapenia comments on the perspectives for economic reforms in Belarus for thinktanks.by web-site and Polish Radio. The authorities are unwilling to pursue reforms, yet if they wish to receive an IMF loan they will have to implement a number of them, the expert says. The East Journal, an Italian publication focusing on Eastern Europe and Asia, quotes an article by Volha Charnysh. In the article Volha shows how authorities manipulate early voting to facilitate electoral fraud. BelarusProfile.com database now includes the following personalities: Jury Šaŭcoŭ, Hleb Šymanovič, Aliaksej Lastoŭski, Arsień Sivicki, Aliaksandr Špakoŭski, Ivan Halavaty, Uladzimir Tracciakoŭ, Maksim Mirny, Anton Kušnir, Alhierd Bacharevič. We have also updated the profiles of Sviatlana ​Alieksijevič, Aliaksandr Hura, Siarhiej Hajdukievič, Vadzim Hihin, Valiancin Holubieŭ, Siarhej Darafiejeŭ, Andrej Dzmitryjeŭ, Darja Domračava, Siarhej Dubkoŭ, Siarhej Dubaviec, Andrej Dyńko, Marat Žylinski, Uladzimir Zinoŭski, Valier Ivanoŭ, Andrej Kazakievič, Anatol Kalinin, Paviel Kalaur, Tacciana Karatkievič, Andrej Karol, Valier Karbalievič. Tacciana Vadalazhskaja, Andrei Yahorau. Agenda for Civil Society Forum (Policy paper). Centre for European Transformation, 2015. Jury Ravinski, Uladzimir Akulich, Uladzimir Valetka, Sierž Naŭrodski. Capital and labour market in Belarus: equal status for long run growth. CASE Belarus, 2015. Vialieta Jermakova. EU countries: Interest in the Eastern Partnership. Centre for European Transformation, 2015. Dzianis Melyantsou. Foreign Policy Accent. Supplement to BISS Belarus’ Foreign Policy Index №22. BISS. Belarusian Institute for Strategic Studies, 2014. Andrei Yeliseyeu, Aliaksandr Aleshka. Eurasian Review №1. BISS. Belarusian Institute for Strategic Studies, 2014. 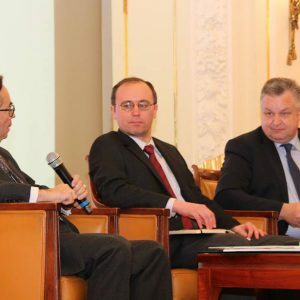 The high-level conference was organised by the Polish Institute of International Affairs (PISM) and the German Federal Academy for Security Policy (BAKS) with the support of the Polish Ministry of Foreign Affairs and the German Federal Foreign Office in Warsaw. Other speakers included Grzegorz Schetyna, Štefan Füle, Michael Link, ambassadors and senior officials. Follow the news from the Ostrogorski Centre on Facebook. On 3-4 November three biggest Belarusian economic think-tanks organised the Kastryčnicki Ekanamičny Forum (KEF) conference in Minsk. The third annual economic conference gathered a number of high-ranking Belarusian and foreign experts, and representatives of international institutions like the IMF and the World Bank. During Lukašenka's rule there has never been as many talks about implementing structural reforms in Belarus as this year. In 2015 virtually all the policy-makers responsible for economic policy advocated economic reforms. It seems the authorities have realised that reforms are unavoidable. However, they cannot agree on the actual range of reforms and the speed of their implementation. The Belarusian economy faces a systemic crisis. The decomposition of economic growth shows that the potential for economic long-term growth has steadily fallen from around 9% annually in the mid-2000s to around 0% in 2015. The deterioration of the external environment, mainly low energy subsidies and the recession in Russia, has only exposed structural weaknesses. As a result, Belarus has been experiencing its first recession since 1996. The IMF and the World Bank have forecast a further recession or stagnation in Belarus in 2016-2017. Facing unfavourable external factors, the economy can no longer generate sustainable growth. Even the ministry of economy expects the economy to grow by only 0.3% in 2016. Given that in the past several years the official forecasts exceeded actual growth by 5.1 percentage point per year, the future seems indeed miserable. The negative prospects of the Belarusian economy have forced officials to recognise the need for deep economic restructuring. Already in April 2015 the President's economic advisor, Kiryl Rudy, wrote a paper in the Belarusian Economic Journal on “Structural economic reforms: necessity for the Republic of Belarus and international experience”. Rudy focused particularly on why the present structure of the Belarusian economy needs reform, and what are the lessons of transition in post-socialist countries. In April 2015 the government and the World Bank confirmed the readiness to work together on “the roadmap of structural reforms”. Since then Minsk has discussed the initial roadmap with the IMF and the Eurasian Development Bank (EDB) in order to obtain new financing. In the meantime, many other influential policy-makers in Belarus have expressed their positive attitudes towards reforms. Among them were, the Prime-Minister Andrej Kabiakoŭ, the Chairman of the Council (the parliament) Michail Miasnikovič, the Deputy Minister of the Economy Dzmitry Krutoj. Since political will is the essential precondition for successful reforms, such a change in public statements has drawn attention. Moreover, during the 2015 presidential campaign Lukašenka announced a relatively liberal economic programme. It included, for example, the de-monopolisation of the economy; the introduction of corporate governance in state-owned enterprises based on best international standards; the separation of the state’s role as an owner and a regulator; the exclusion of any forms of needless interference in business activities; and a moratorium on tax increases for five years. Unlike the previous four economic election programmes, however, this time Lukashenka did not advocate populist slogans but focused on problems encountered by the real sector of the economy and he proposed the right solutions. 2015 becomes a ground-breaking year in terms of the economic policy conducted in Belarus. Despite the recession and the presidential elections, the authorities have carried out sound monetary and fiscal policy throughout the whole of 2015. For instance, regardless of a 30% devaluation of the Belarusian rouble at the end of 2014, inflation fell from 17.1% in January to 11.5% in October 2015. Additionally, the economy's foreign debt decreased by $2 billion during the first half of 2015. Apart from economic stabilisation, so far the Belarusian authorities have introduced very few meaningful measures aimed to boost long-term economic growth. They lack agreement on the scope of the market transition. For some policy-makers (mainly the President and almost the whole government), the economy needs only some adjustments. But for others (mainly the National Bank of Belarus, the Ministry of Finance and the Ministry of Economics), only a profound transformation will let Belarus catch up with the advanced economies. At the KEF the Deputy Head of the Presidential Administration Mikalaj Snapkoŭ mentioned two structural reforms crucial for a successful transition: the division of the state’s function as a regulator and as an owner, and the shift to indicative economic forecasting instead of compulsory forecasting. Although these are important issues, they miss the basics like the equal treatment of private and state-owned entities (SOE), SOE restructuring, further deregulation and privatization. At the same conference Kiryl Rudy explained without optimism why Belarus may avoid the reforms in 2016. He revealed five barriers that prevent the regime from making structural reforms, including an absence of broad public support for reforms and the absence of a comprehensive vision among the political elite. At the KEF the first deputy minister of the economy Aliaksandr Zabaroŭski announced the six priorities of the roadmap. Half of them focused on supportive measures for reforms (like macroeconomic stability, the formation of effective financial markets and the development of the labour market). The second half sounded like true structural reforms (the state sector transition, development of the private sector and liberalisation of the markets for goods and services). Nonetheless, with insufficient political will for reforms, their implementation may end up as merely cosmetic changes allowing for additional financing from the IMF or the EDB. However, creditors will monitor the progress of reforms before the payment of each tranche. Therefore, avoiding any reforms is out of the question. Unfortunately, the long-awaited “roadmap of structural reforms” did not emphasise the most urgent and necessary reforms. Surprisingly, it took Minsk almost a year to make the roadmap public. It shows that the authorities are not ready for large-scale market reforms. But the slow and partial structural reforms appear inevitable.